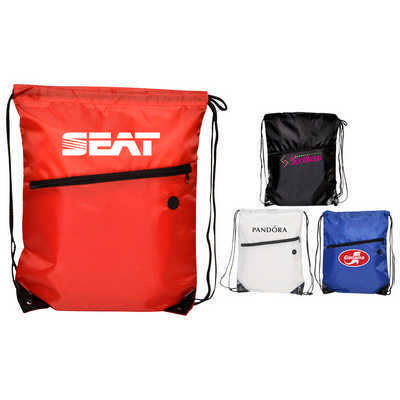 The Nylon Tech Travel Backpack is ideal for any campaign or event especially sports promotions. It has a zipped front pocket and two draw strings with reinforced eyelets for extra strength. Front pocket has tech port allowing to run earbuds out of front pocket. Material: Nylon Colours: White, Blue, Red or Black, Dimension: 330mm W x 425mm H. Price includes : 3 Day Service* Screen Print - One Colour/Location. Setup is included.